Affordable Bluetooth (and NFC) wireless headset with a good sound quality for the price. Very lightweight and low profile to carry around. 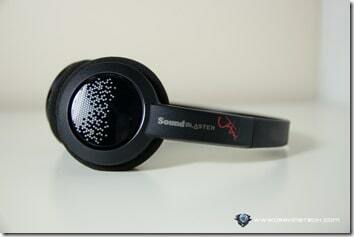 Sound Blaster JAM Review – I am used to have the “judge a book by its cover” syndrome. If a gadget looks cool and pretty, I’d nod my head instantly when I was offered to review it. 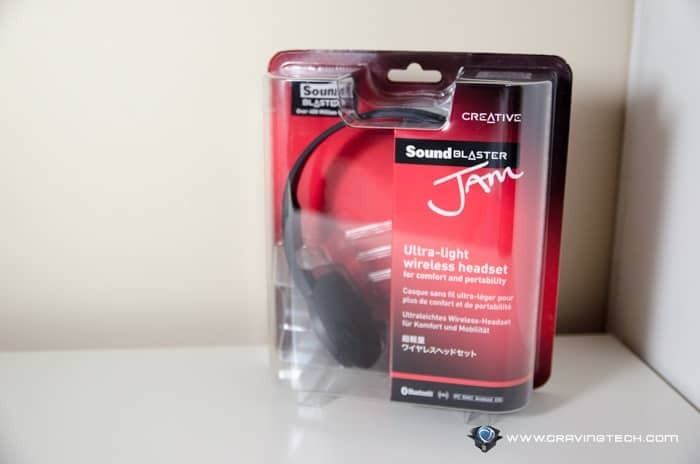 Sound Blaster JAM is kind of different. 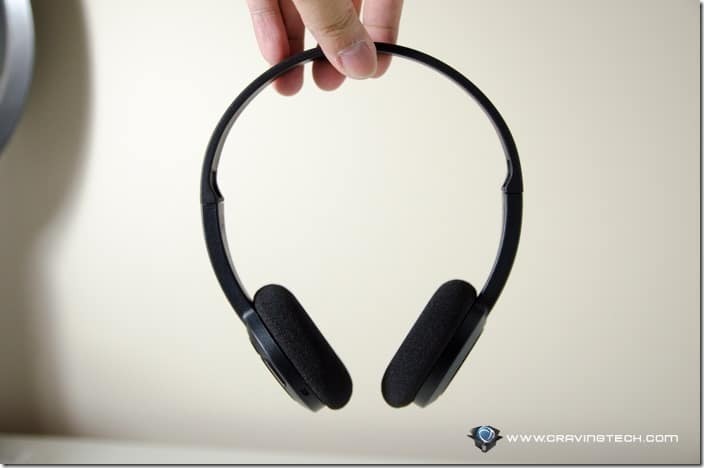 At a quick glance, this Bluetooth wireless headset looks like an ordinary headset. 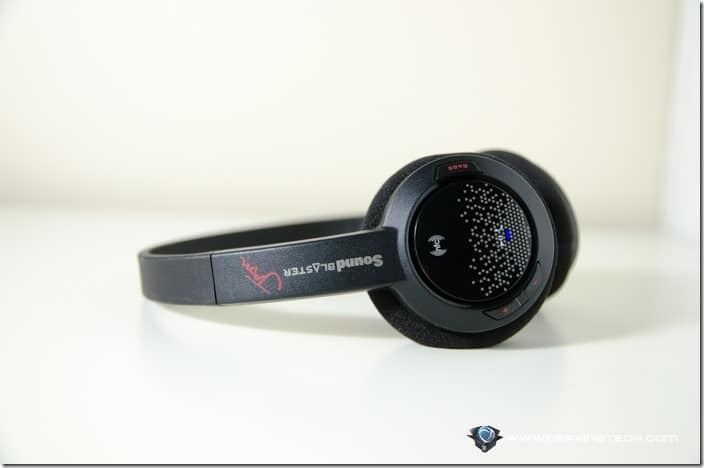 In fact, it looks just like those cheap headphones you get on the plane when you travel. 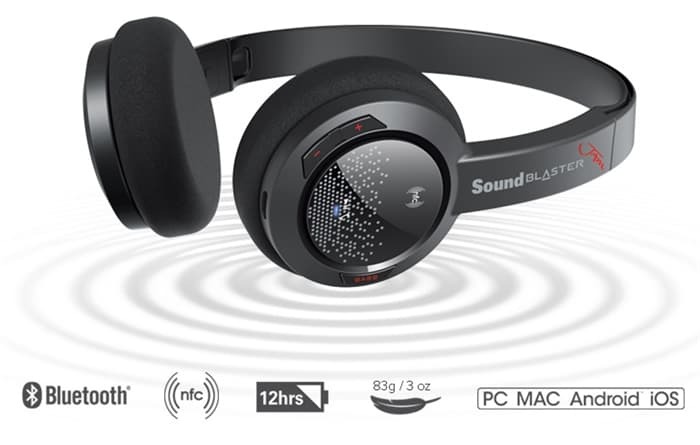 Thankfully, Creative, the company behind the Sound Blaster JAM, takes sound seriously and I’m glad I got the chance to see (or hear) what this baby can do. Sound Blaster JAM is designed to be lightweight and comfortable to wear. Sure, it can be designed with all the bells and whistles, but the headset won’t be as light and affordable. The JAM uses plastic materials and foam ear cushions which make it look cheap, but these design decisions also make it lighter and cheaper. The foam ear cushions are actually comfortable and more durable compared to some cheap ear foams on a cheap headset. The design is also good for those who want to keep a low profile. There is no cushioning on the headband but the headset doesn’t feel tight so I’ve got no complaints here. 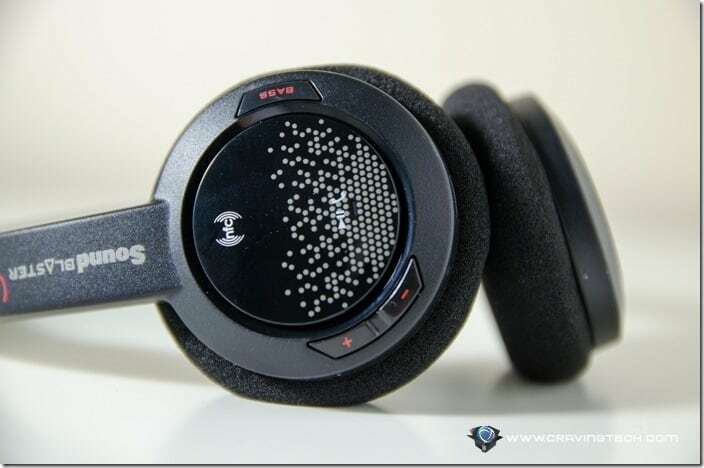 It is so light and compact compared to any other headsets I’ve reviewed in the past, yet the sound quality is not a disappointment. In fact, I was amazed at the clarity of the sound and the strength of the Bass. I wasn’t expecting it to be this good when I started it up. In fact, I ended up watching movie trailers on YouTube for about an hour at some point with the Sound Blaster JAM, simply because I was totally immersed in it. There is a Bass boost button for Bass lovers (like myself) and it doesn’t disappoint either. The Bass is strong and deep. Creative is kind enough to give you options, so that you can turn it off when listening to classical music and turn it on when you are watching movies or playing games. Or you can just turn it off altogether if you don’t want the Bass to overpower your songs. Playback controls are also accessible on the headset. 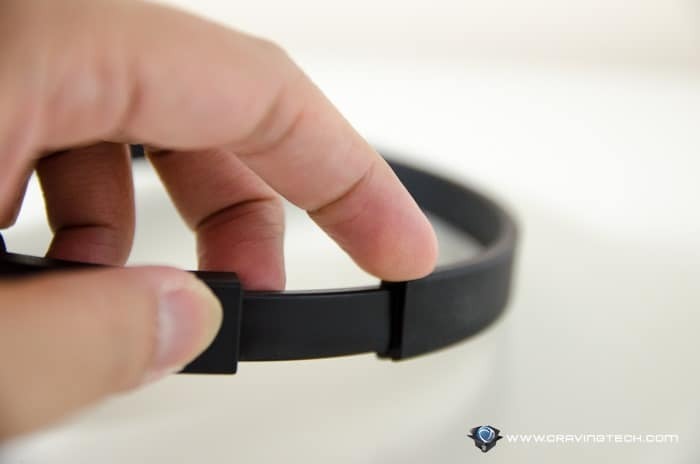 The JAM is a Bluetooth headset, but you can also connect it via NFC if your device supports it. 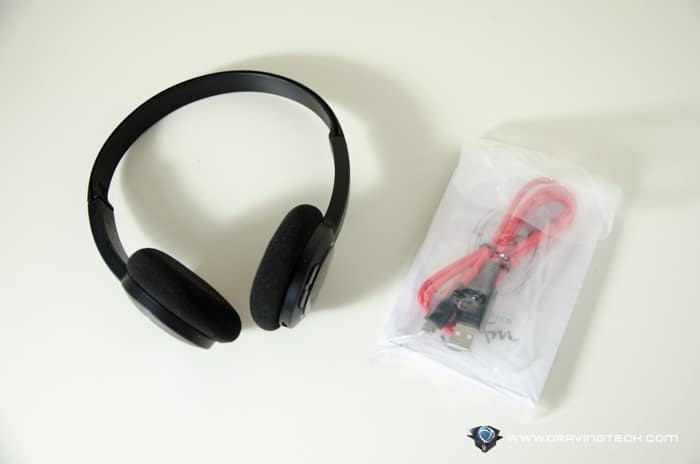 You can also connect the headset to a USB port on your laptop to use and charge at the same time. 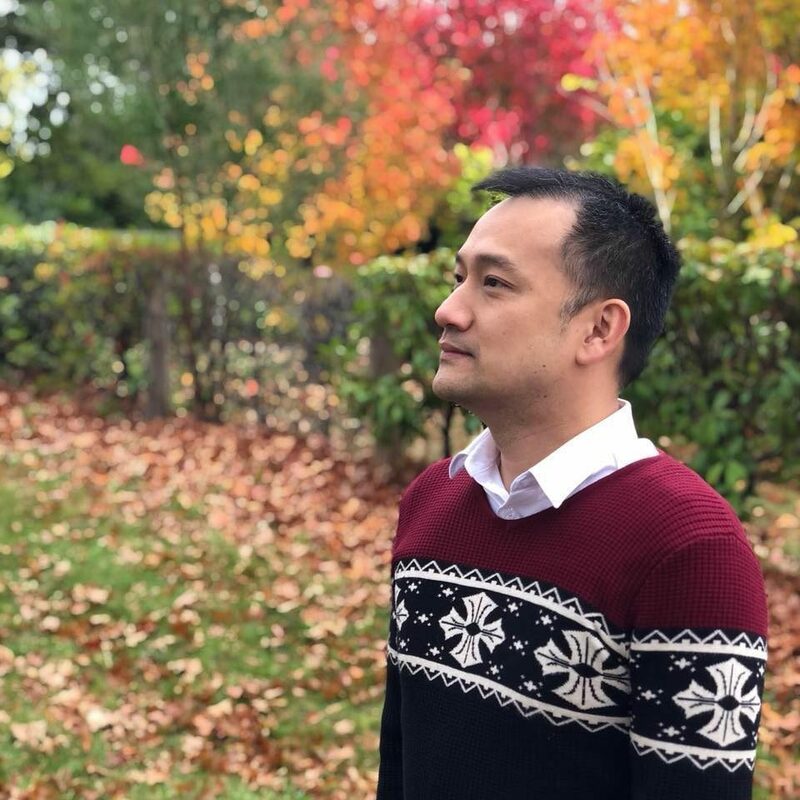 It will work on both Windows and Mac OS machines. Unfortunately, it doesn’t support a wired connection (via 3.5mm) so you cannot hook the JAM up on the plane, even if you have an airplane adapter. Microphone is also disabled when it is hooked inside a USB port. I love how I could switch from talking on my phone to the JAM while on a call, though. I could simply turn the JAM on while I’m on my phone, and the caller’s voice was then transferred to the headset. It’s so seamless that the caller didn’t even notice the switch and I could talk more comfortably on the JAM, hands free. 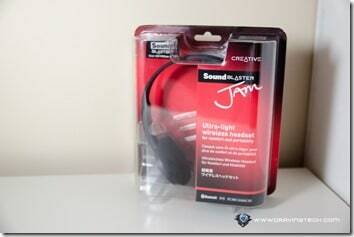 Creative Sound Blaster JAM is a low profile headset, to be enjoyed only by the wearer. It’s so light that it’s easy to carry around, and the battery lasts a lot more than you probably need. Do not let the looks fool you, as this affordable Bluetooth/NFC wireless headset is a keeper for the price. Although Creative doesn’t include a travel case, the JAM is still great to have around while you travel. 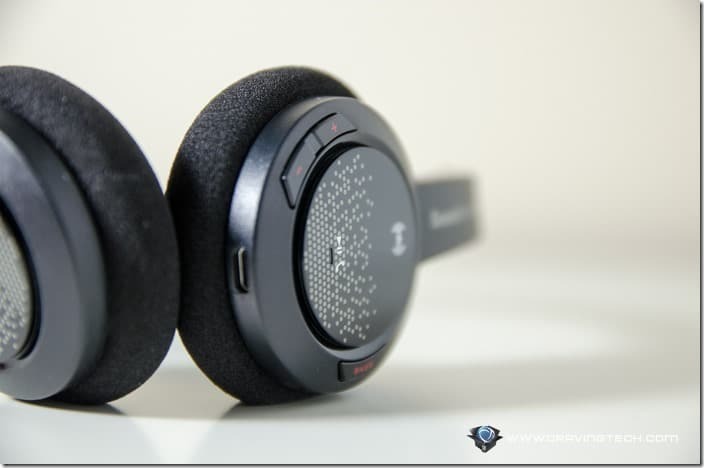 Too bad it doesn’t include an option to hook a 3.5mm cable and a noise cancelling feature – though these will definitely add bulk and dollars to the price. Simply answer this question: “What feature do you like most about the JAM and why? ” using the widget below (your email address won’t be used for anything except to inform you if you win). The winner will be picked after the giveaway period is over. Giveaway period: 12 March 2015, 10AM AEST – 2 April 2015, 9:59AM AEST. This is a game of skill, not a game of chance. One winner with best answer will be picked.